When will be Okies of Bel Air next episode air date? Is Okies of Bel Air renewed or cancelled? Where to countdown Okies of Bel Air air dates? Is Okies of Bel Air worth watching? In the vein of The Fresh Prince of Bel-Air and The Beverly Hillbillies, "Okies of Bel Air" is the story of a family of humble Oklahoma catfish farmers who, after their basketball prodigy son is chosen first overall in the NBA draft, pack up and move to the tony enclave of Bel Air, where they'll struggle to preserve their down-home sensibilities amidst a vast cultural wasteland where Kardashian reigns supreme and pressed juice is considered a viable alternative to childhood vaccinations. Okies of Bel Air next episode air date provides TVMaze for you.  EpisoDate.com is your TV show guide to Countdown Okies of Bel Air Episode Air Dates and to stay in touch with Okies of Bel Air next episode Air Date and your others favorite TV Shows. Add the shows you like to a "Watchlist" and let the site take it from there.